FREE SCREENING! In Michael Snow’s tenth film, made in the twilight of the American lunar missions, the camera, attached to a robotic arm, casts its roving 360-degree eye across a remote, seemingly otherworldly mountaintop in northern Quebec. To a soundtrack based on the waves and pulses of the camera-activating machine, La Région centrale “transports its audience to a rugged Canadian landscape that is discovered at noon and then explored in seventeen episodes of dizzying motion as the machine’s shadow lengthens, night falls, and light returns” (Martha Langford, Art Canada Institute). 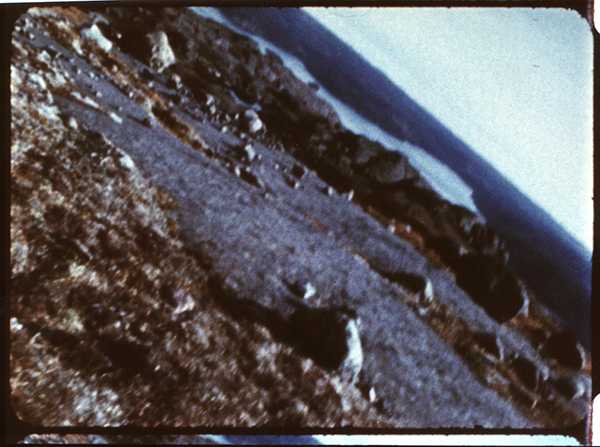 Snow’s film is preceded by Daïchi Saïto’s kaleidoscopic exploration of the patterns and contrasts in the landscape of a Montreal park.